Hedge Funds Are Piling Into Ultratech, Inc. (UTEK): What’s Behind The 55% Surge in Ownership? We have been waiting for this for a year and finally the third quarter ended up showing a nice bump in the performance of small-cap stocks. Both the S&P 500 and Russell 2000 were up since the end of the second quarter, but small-cap stocks outperformed the large-cap stocks by double digits. This is important for hedge funds, which are big supporters of small-cap stocks, because their investors started pulling some of their capital out due to poor recent performance. It is very likely that equity hedge funds will deliver better risk adjusted returns in the second half of this year. In this article we are going to look at how this recent market trend affected the sentiment of hedge funds towards Ultratech, Inc. (NASDAQ:UTEK), and what that likely means for the prospects of the company and its stock. Ultratech, Inc. (NASDAQ:UTEK) was in 17 hedge funds’ portfolios at the end of September. UTEK investors should be aware of an increase in hedge fund interest lately. There were 11 hedge funds in our database with UTEK positions at the end of the previous quarter. 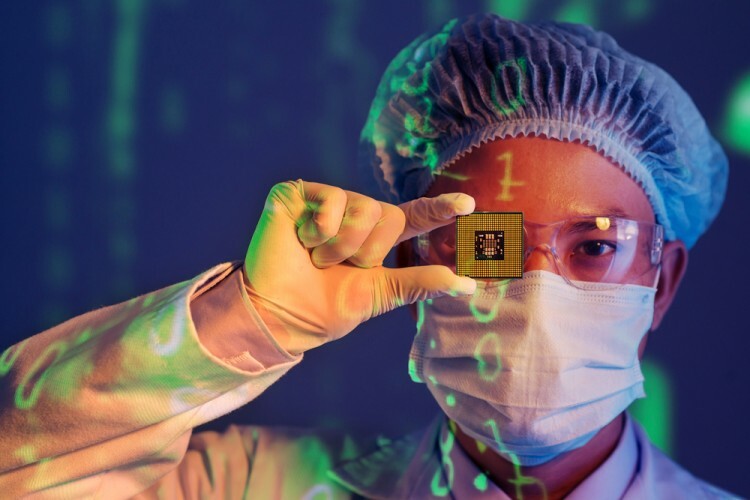 At the end of this article we will also compare UTEK to other stocks including tronc Inc (NASDAQ:TRNC), Radware Ltd. (NASDAQ:RDWR), and Atara Biotherapeutics Inc (NASDAQ:ATRA) to get a better sense of its popularity. What have hedge funds been doing with Ultratech, Inc. (NASDAQ:UTEK)? Heading into the fourth quarter of 2016, a total of 17 of the hedge funds tracked by Insider Monkey were long this stock, a 55% jump from one quarter earlier. 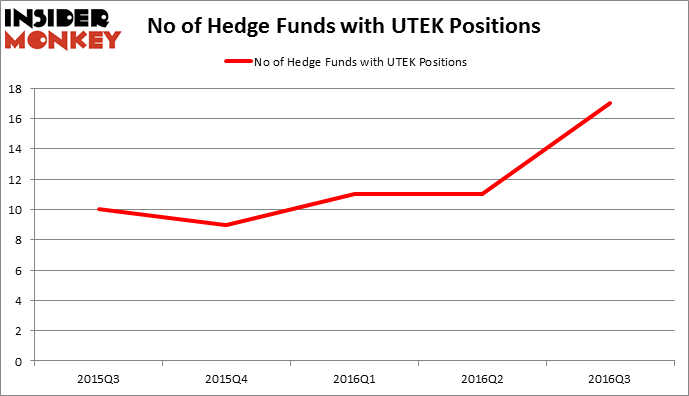 On the other hand, there were a total of 9 hedge funds with a bullish position in UTEK at the beginning of this year, amounting to a nearly 100% jump in hedge fund ownership in 2016. With hedgies’ positions undergoing their usual ebb and flow, there exists a few notable hedge fund managers who were increasing their holdings meaningfully (or already accumulated large positions). According to Insider Monkey’s hedge fund database, Carlson Capital, led by Clint Carlson, holds the most valuable position in Ultratech, Inc. (NASDAQ:UTEK). Carlson Capital has a $56 million position in the stock. Sitting at the No. 2 spot is Adage Capital Management, led by Phill Gross and Robert Atchinson, holding a $28.4 million position. Remaining hedge funds and institutional investors that are bullish include D E Shaw, one of the biggest hedge funds in the world, Ken Hahn’s Quentec Asset Management, and Peter Rathjens, Bruce Clarke and John Campbell’s Arrowstreet Capital. We should note that none of these hedge funds are among our list of the 100 best performing hedge funds which is based on the performance of their 13F long positions in non-microcap stocks. Is Cabot Corp (CBT) A Good Stock to Buy? Is It Time to Buy Ultra Clean Holdings Inc (UCTT)? Smart Money Thinks So. Vince Holding Corp (VNCE): Hedge Funds Keep Heading Elsewhere Should You Get Out of UniFirst Corp (UNF) Now? Hedge Funds Are. Helen of Troy Limited (HELE): 73% Surge in Smart Money Ownership; What’... Is Vitamin Shoppe Inc (VSI) Going to Burn These Hedge Funds?